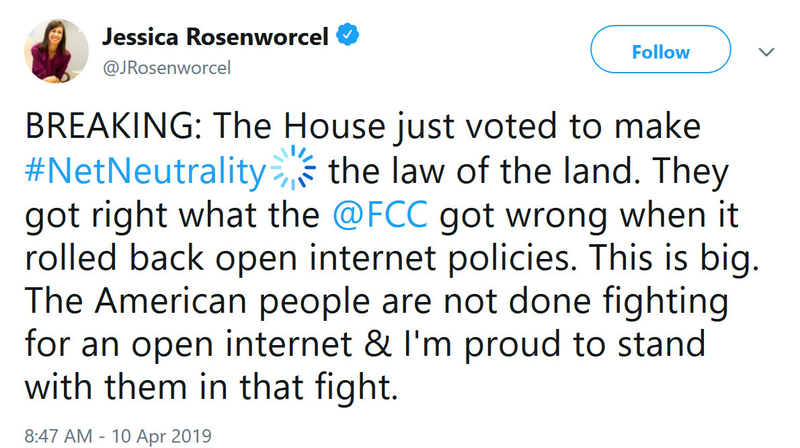 A tweet sent from the lone Democrat on the FCC, Jessica Rosenworcel, noted that The House of Representatives voted today to make net neutrality the law of the land. 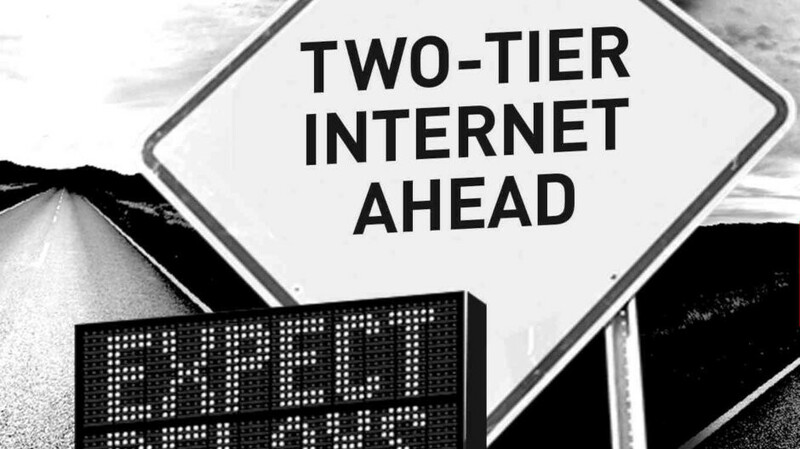 The Obama era rules make sure that all streaming content is treated the same by ISPs and wireless carriers, preventing a video streamer from paying more for a "fast lane." Under the leadership of chairman Ajit Pai, appointed in 2017 by President Donald Trump, the FCC did away with the rules last summer. Since then, net neutrality has turned into a political football with Democrats in favor of overturning the FCC's decision, and Republicans looking to keep the status quo. The Save the Internet Act passed the House by a vote of 232-190 vote as one Republican voted with the Democrats to restore net neutrality. But it would appear that the proposed legislation will die right here. Senate Majority Leader Mitch McConnell (R-Kentucky) refuses to allow the bill to make it to the floor of the Senate for a vote. That's not surprising considering that when California passed legislation bringing net neutrality back to the state, the Trump administration immediately filed a suit to block the law from taking effect. There are a lot of oddities and misstatements surrounding the FCC's decision to get rid of net neutrality. Chairman Pai promised that repealing net neutrality would lead to more investment in the nation's broadband infrastructure. This has proven to be dead wrong as such investments have declined and the industry has seen many workers laid off. In addition, during the comment period when the FCC sought to get the lay of the land from U.S. consumers about repealing net neutrality, the regulatory agency admitted it received thousands of bogus comments in favor of repeal. Many of these letters came from Russia. The truth is that a majority of Americans favor the return of net neutrality. A lawsuit filed by the attorneys general of 22 states and the District of Columbia, and heard by a U.S. appeals court, seeks to reverse the FCC's action and bring back net neutrality. The final decision has yet to be announced. It's always about money not the consumers. Companies really never cared about consumers, only their money. They offer discounts and offers because their competition is taking away their prospected money, not because they care for people. It sounds rough, but that's how businesses are, the organizations that care for humans are the NGOs and they usually have no money.